with summertime approaching i have decided to embark on a hair removal journey. i have decided to follow the Tria Hair Removal Laser directions to the T and chronicle my results. i am confident in the results i will achieve, i am just a little unsure of how long or how many treatments it will take to get there. what is Tria? 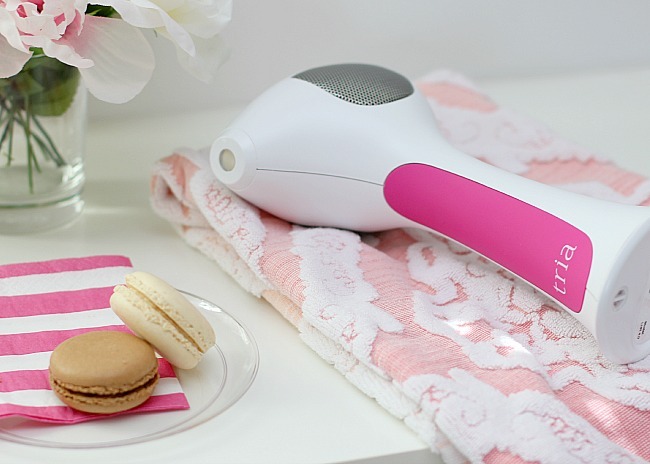 Tria is an at-home hair removal laser for face and body that permanently reduces unwanted hair and provides lasting silky-smooth skin. Tria uses the same diode laser technology preferred by dermatologists to deliver safe, effective, and permanent results. recommended use is every two weeks until regrowth slows or stops completely. i plan to share my results over an 8 week period to let you know what i have experienced. why Tria (and macarons)? we spend a lot of time in bathing suits here at the Blushing Basics household. between boating or swimming in my mom's pool the kids and i are constantly wearing bathing suits. i wanted to try something that will help eliminate in-grown hairs and lessen or completely eliminate the need for shaving. the macarons are just a treat to look forward to after the slightly uncomfortable treatment! what to expect? treatment times vary depending on the body part. underarms only take 3-5 minutes to treat. legs take 15-20. it is an slightly uncomfortable sensation described as a 'zap'. you can control the strength however higher strengths (if tolerable) are more effective. recommended usage is every 2 weeks for three months. 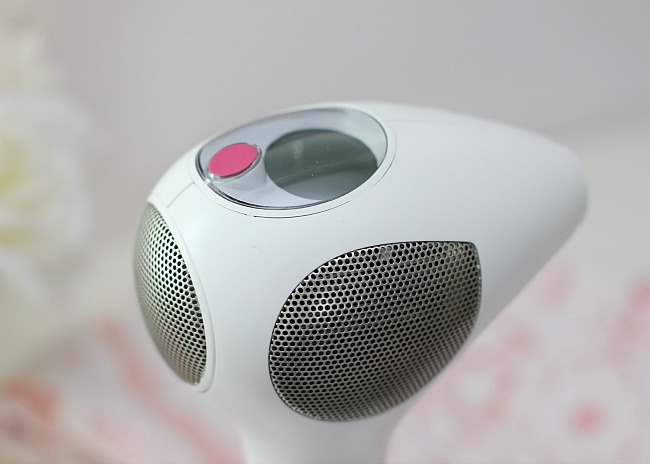 the device is easy to hold and easy to control. keep track of your treatment strength as well as pulse number with this easy to read display. 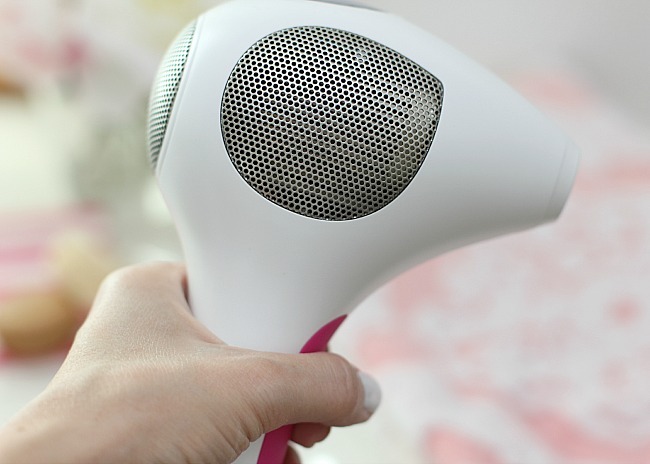 the pulse counter is a new addition to the Tria Hair Removal Laser 4X and makes it simpler to remember how many pulses you have applied to the area. use the censor on the bottom of the handle to make sure skin is appropriate color for treatment (if skin is too dark the Tria will not 'unlock'). the censor will then unlock the unit to allow for treatment. select treatment level and apply to skin. after you hear two beeps move 1/4inch and apply again. continue to repeat over entire treatment area. i'm looking forward to sharing my results with you. cheers to diminished body hair!